This is the Night Watch, it securely clips your phone to optimal direct light position for nighttime T1D parent duties. 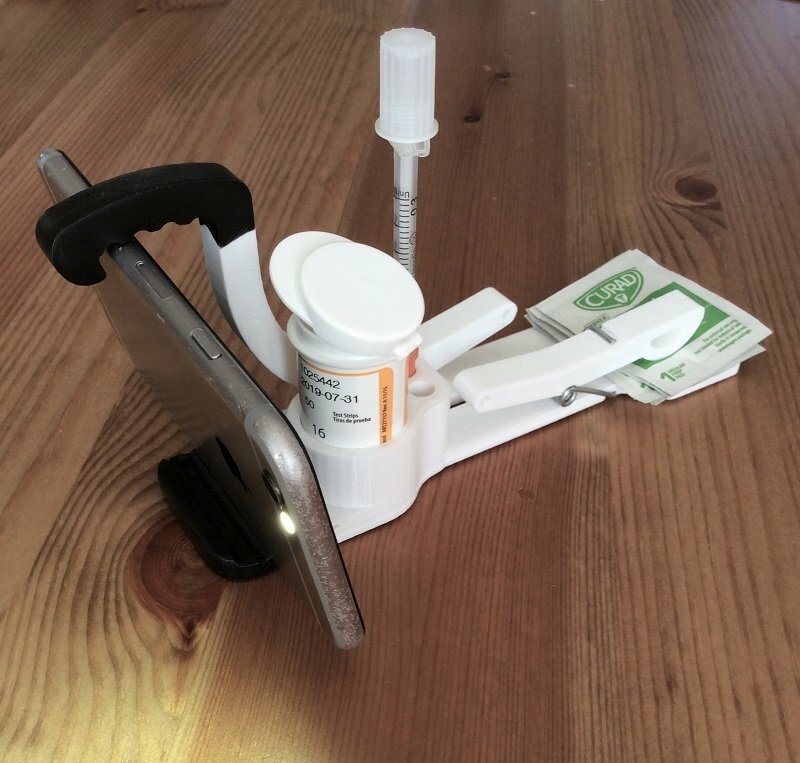 Also, it provides a platform for securing diabetes supplies.The nonslip rubber coated phone clamp adapts to multiple phone sizes, with and without phone cases. Why use the phone light and not a lamp or flashlight? I’ve used them all, and after three years of nighttime T1D parent responsibilities, the reliable go-to light source has been my phone. Like most people, its always next to me, charged and ready to go. The Night Watch stays on the night stand and is ready to go for the common night blood sugar check, Dexcom and Omnipod changes. It's 3D printed in white PLA plastic. Has a prototype texture (from the printing process).